Theater Around The Bay: Come Out And Support The Lemonade Fund! Back in December of 2013, the San Francisco Theater Pub hosted the first Lemonade Fund Variety Show, and we’re excited it’s becoming an annual Bay Area tradition! Frequent Theater Pub collaborator Megan Briggs has been the driving force behind this year’s fundraiser, which is tomorrow night at 8 PM, at our favorite bar: PianoFight! The incredible line-up includes more Theater Pub veterans, Sara Judge, Juliana Lustenader, as well as Bay Area superstars like Patricia Cotter, Marjorie Crump-Shears, Mark Dietrich, Nick Knave, LaMont Ridgell, Lori Scarlett, Meyl Shaw, Kevin Sonkin,and Dalia Vidor! The Lemonade Fund is an important and worthy cause that’s been “Making Lemons into Lemonade for Over 20 Years”! It is a confidential resource for theatre practitioners with terminal or life-threatening illnesses who are in need of supplemental financial assistance to improve the quality of their lives as they deal with medical conditions. 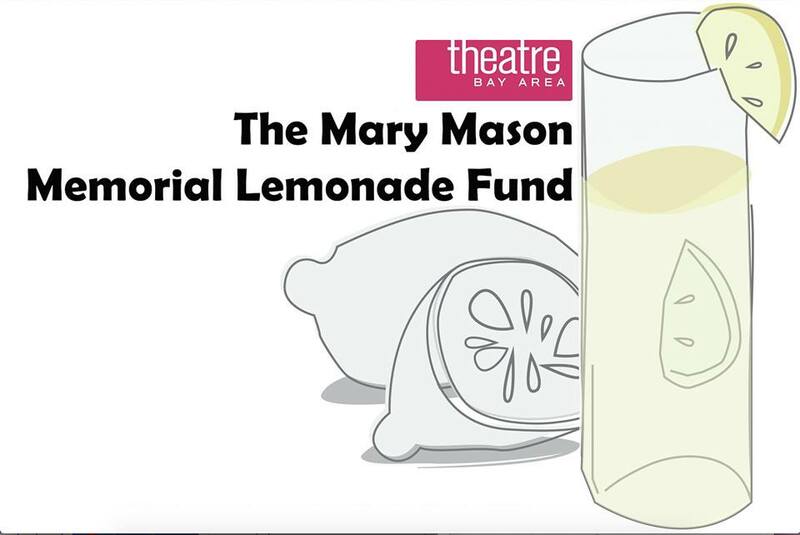 Since 2000, Theatre Bay Area has distributed over $100,000 to theatre workers in need through the Lemonade Fund. Much of it is made possible by generous donations by fellow artists. This year’s big event is Tuesday, December 8, at 8 PM at PianoFight (144 Taylor Street) and we’re asking everyone who walks through our doors to drop $20 in the hat. Such a small donation- but if we can get 50 people that’s $1,000! Can’t make the event but want to give? YOU CAN DONATE HERE! We hope to see you there! Have a wonderful and safe Holiday Season, everyone!